Everyone likes to earn more money if you are one of them you should try Cashback Credit Card. Cashback Credit cards allows you to earn money spending money. This means every time you spend money on dining out, watching a movie, fuel purchase, grocery purchase etc. you will be getting a certain amount as cashback. The cashback amount and rewards depend on the issuer. Some credit card companies offer cashback on all purchases while other offers benefits on the selected purchase at a specific departmental store or online store. Whatever be the case, it is worth to look at cards that offer cashback and rewards. So, here is the list of best cashback credit cards in India. Before revealing best cashback credit cards let’s take a look at factors to consider while comparing cash back credit cards. The first factor to check is how much cashback you will get? Is it same on all purchase or it is restricted to a specific product, brand or a place only? Is there any minimum spend requirement to avail cashback? It should not happen that, you spend more to earn cashback. You should know spend pattern before selecting a credit card. You should also check maximum permissible cashback amount condition provided by the card. Some credit card keeps a cap on maximum cashback amount per month/billing cycle. It is not advisable to opt for a card just for getting cashback, where cashback is also limited. You should also check what is claim or redemption process for cashback/rewards. Some credit card automatically credits cashback/rewards based on your spending, while other ask customers to initiate claim process manually. The last factor to consider is an annual fee charged by credit card companies. If it is a free card in terms of the annual fee it is very good, if not annual fees should not be higher compared to benefit and earning offered by the card. Citibank Cashback Credit Card is one of the best cashback credit card in India. This card offers cashback on almost every spend. It is new generation contactless card. This card provides exciting offers and privileges. Up to 15% saving on participating restaurants. Get automatic cash back as statement credit. Redemption in Multiple of Rs.500. Online Saving Calculator about Cashback. Exciting offers on leading brands across categories. 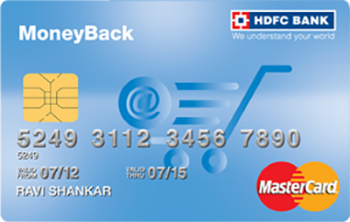 HDFC Moneyback is one of the best cashback credit card in India. It offers great perks for shopaholics in terms of rewards, which can be converted to cashback. In addition to cashback it also provides multiple other benefits to the customers. 2 Reward Points for every Rs. 150 you spend. You can accumulate reward points and redeem them against outstanding amount in credit card. 100 Rewards point = 20 Rs. 2x reward points on online shopping using HDFC moneyback card. Accumulated Reward points are valid for 2 years. Minimum 2500 reward points are required for redemption. 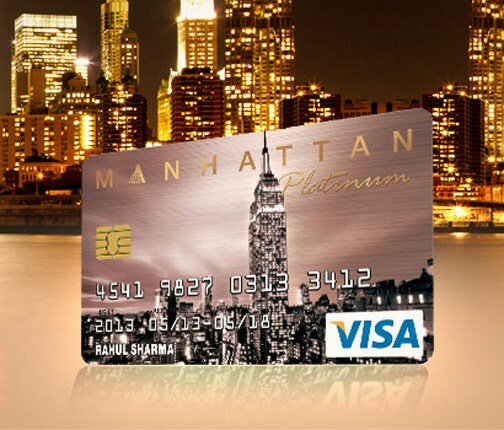 Standard Chartered Manhattan Platinum Credit card is one of my favorite credit card. It is easy to get approval of this credit card. It is a most suitable card for salaried person. This card provides a benefit of cashback of 5% while doing grocery shopping at malls. This brings a lot of saving while doing household purchase. 20% cashback on Uber rides. Maximum limit for Rs.600 per month. 3x rewards on all other spendings. Lucrative discount offers on leading brands time to time. The good life offer program to enjoy additional privileges with leading brands. Minimum 500 rewards points are required to avail redemption. How to maximize earning using cashback credit cards? 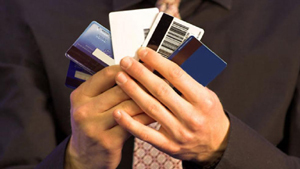 Select a free credit card with no annual or joining fee. This will help you to save additional amount. Go for the credit card with maximum cashback and use card at fullest wherever possible. This will help you to earn maximum. Make sure to select a flexible cashback card with minimum limitation on purchase location, duration, products or minimum amount to be spent for getting a cashback. Take advantage of every reward and benefits. Plan your spending and use cashback credit card for all big purchases. Don’t involve yourself in doing impulsive shopping using credit card. Purchase only necessary items. Keep track of all your purchases and maintain receipt of all transaction. Clear your credit card dues regularly to avoid any penalty and overdue interest. If possible setup auto debit facility for repayment of credit card dues. You can use credit card to improves your credit score. Never share credit card information with others. Hope you liked this article. Do share these useful tips and information with your friends.